MONTPELIER – As Thanksgiving rolls into view, hunters will need to be aware of new hunting limits on tofurkys. 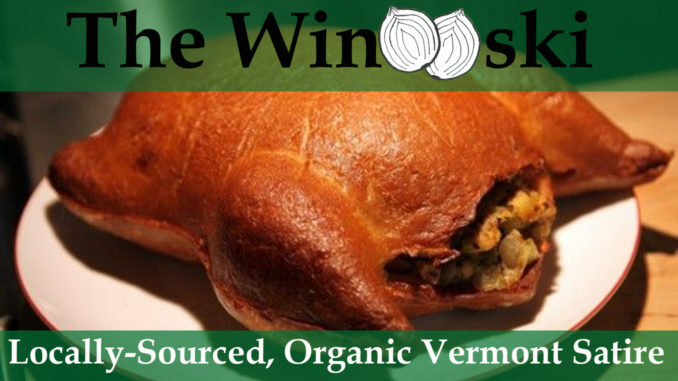 Vermont has previously had no restrictions on tofurky hunting in November, as the creatures have largely been considered a nuisance and can be found in plentiful quantities all around the state. But now, after lobbyists for the übervegans pressed the state to restrict or ban the hunting of tofurkys due to their belief that tofu can react to external stimuli, the department of fish and wildlife has agreed to limit the number of tofurkys that can be killed and eaten. For those interested in hunting tofurkys this season, the new limits require a specific license for taking the creatures and licenses will be capped at 1,000. If you do snag one of the licenses you will be legally allowed to take up to 5 tofurkys, and there will be no restrictions on the sales of the “birds.” Also note that these new restrictions do not apply to tofurky farms or co-ops. More information on tofurkys can be found on the fish and wildlife department website. They list the Granola Belt as the best place in Vermont to find tofurkys, and have several links to sites that explain how to butcher and dress a tofurkey. For the more ambitious cook, they also include recipes for that famous combination of tofurky, stuffed with a mock duck, and wrapped around meatless chicken, although not many amateur chefs call pull off the Tofucken.